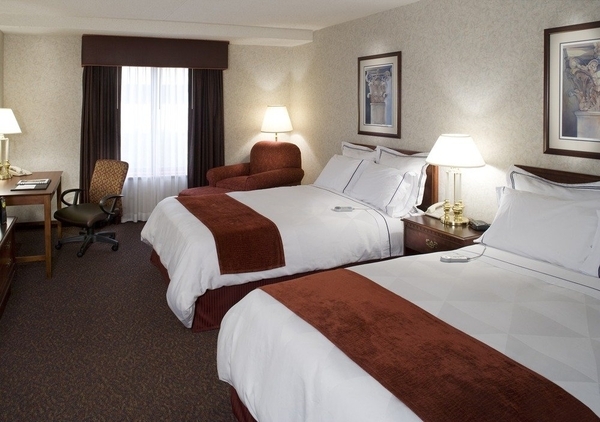 Our hotel will be under a guest room renovation starting Monday, April 29, 2019. We look forward to accommodating you, as we will remain open for business during our refresh. Located in the heart of Davenport, Iowa’s riverfront area, Radisson Quad City Plaza puts you within easy reach of downtown’s top sights. Take our convenient skywalk to the historic Adler Theatre and expansive RiverCenter to catch concerts, shows and trade conventions. If you have some time, walk a couple of blocks to see the impressive collection at Figge Art Museum. You can also stroll the nearby Riverfront Trail to reach green spaces beside the Mississippi and baseball at Modern Woodmen Park. Please note: Our guest rooms will be under renovation starting Monday, April 29, 2019. We will remain open for business during this time and look forward to accommodating you. 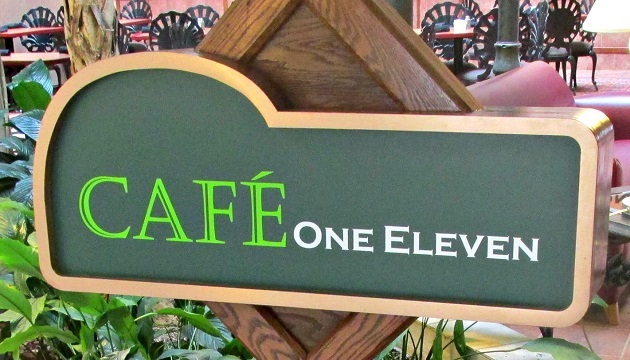 Head to Café One Eleven in the atrium and order tasty appetizers, sandwiches or pizzas cooked in our 500-degree brick oven. We also offer specialty sandwiches and burgers to satisfy any craving. After dinner, visit the Café One Eleven Lounge for fine wines and specialty cocktails. Chat with colleagues or listen to the gentle sounds of our indoor waterfall as our bartenders mix your favorite drink. For dinner and a movie in the comfort of your hotel room, order from our room service menu. Room service is also a convenient option if you have an early start at the adjacent RiverCenter. Adler Theatre and RiverCenter – Take our skywalk and catch a Broadway show, a symphony concert or a comedy act at the Adler Theatre, noted for its beautifully restored Art Deco architecture. Altogether, the RiverCenter complex features more than 100,000 square feet of event space for conventions, trade shows and more. Figge Art Museum – Walk a couple of blocks to see one of the best art collections in the Midwest, featuring works by Andy Warhol, Andrew Wyeth and Frank Lloyd Wright. Be sure to explore the fascinating collections from Haiti, Mexico and Japan. The Putnam Museum & Science Center – Located about two miles from the hotel, this expansive history and science museum features hands-on exhibits for all ages. Don’t miss the exciting Hall of Mammals and Ocean Experience exhibits. Make your corporate meeting or social gala one to remember at the Radisson, which offers 12,000 square feet of meeting space. Take advantage of comprehensive meeting planner packages as well as full-service catering and professional planning assistance. Our hotel is also an ideal setting for inspired wedding receptions and rehearsal dinners. Delight your guests with cocktails and hors d'oeuvres in our atrium before sitting down to an expertly prepared banquet in the Quad Cities Ballroom.